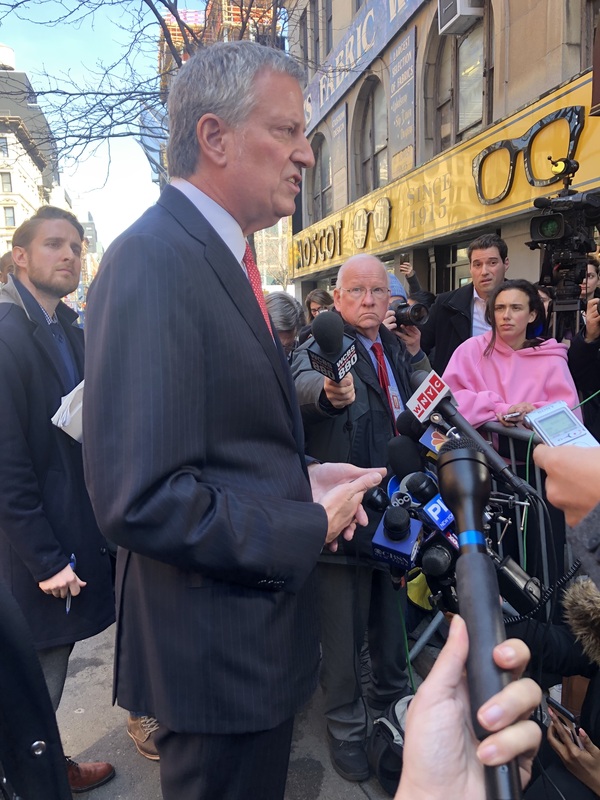 NEW YORK CITY, N.Y.—House Speaker Nancy Pelosi had no interest Wednesday in discussing the potential presidential candidacy of New York Mayor Bill de Blasio. “Well-handled,” de Blasio said of Speaker Pelosi’s response. The California Democrat made the remark as she stood with the mayor and Democratic members of the New York congressional delegation, who discussed and took questions about the Democrats’ new legislation known as the “Dream and Promise Act,” which is intended to give a pathway to citizenship to over 1 million illegal immigrants. “Sooner rather than later,” the mayor said.